DONALD LEROY CARD passed away peacefully at the Cardston hospital on Friday, August 19th , 2016 at the age of 85. He was predeceased by his father LeRoy Card, his mother Myrtle Webster Card and his brother Howard Card. He is survived by his wife Rhea Pitcher Card, his children Doreen Card, Lorin Card, Nolan (Kari) Card, Bruce Card and Mark (Loreen Nishikawa) Card, and his siblings Lorna (Dee) Barrus, Bryce (Kathy) Card, Doug (Terri) Card, Mel (Dianne) Card and Cheryl (Carl) Romeril. He is also survived by his grandchildren Laura (Corey) Robinson, Carmen Card, Allison (Brett) Jensen, Brandon Card, Ryan Card, Tenelle (Matt) Richards, Renae Card and Kyle Card and his great grandchildren Emrie Robinson and Scarlett Richards as well as numerous nieces and nephews. He received his Chartered Accountant designation, and in 1955 he opened his own accounting business in Cardston, which he ran until he retired in 2003. He especially loved spending time with his family and enjoyed camping, picnics and trips to Waterton with them. He also enjoyed spending time doing photography and woodworking. He was a faithful member of the Church of Jesus Christ of Latter-day Saints, held several callings throughout his life and served with his wife in the Knoxville, Tennessee mission. He also enjoyed several years of service along with his wife in the Cardston Alberta Temple. 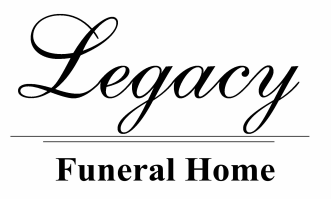 LEGACY FUNERAL HOMES LTD., Assisting the Family. Phone 403-653-3222.